Available in two different variations - Satin Black Frame with Grey Silver Mirror Polarised Lens and Satin Tort Frame with Brown Polarised Lens - see the spec for each below. 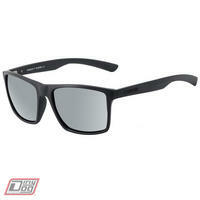 Lens Colour - Grey Silver Mirror Polarised - strong glare reduction for very bright conditions. 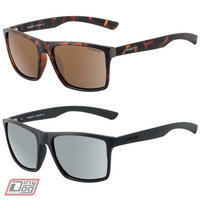 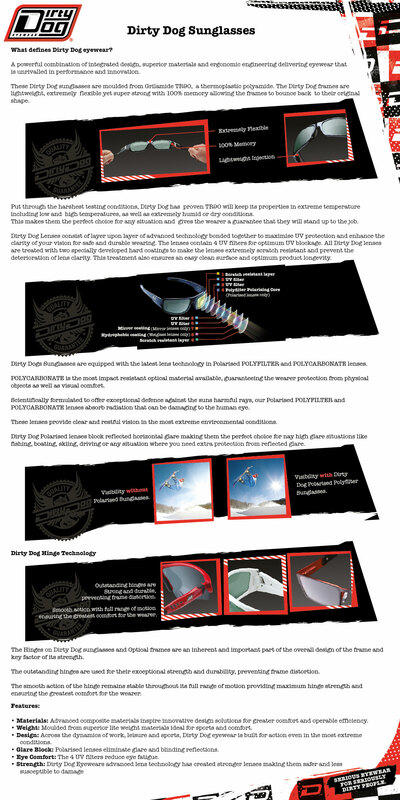 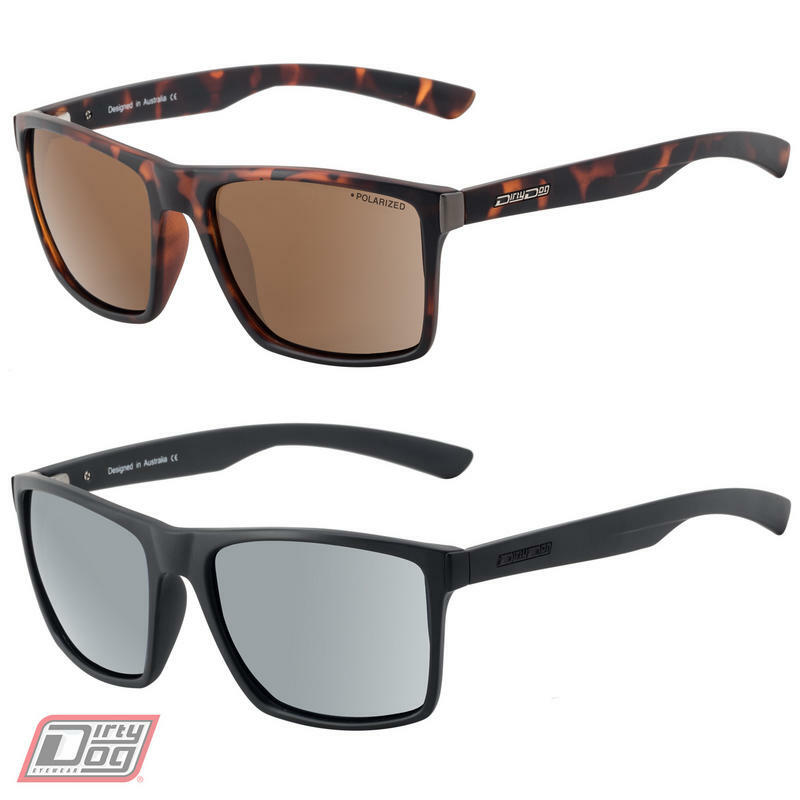 Dirty Dog sunglasses Polarized lenses also block reflected horizontal glare making them the perfect choice for any high glare situations like fishing, boating, skiing, driving or any situation where you need extra protection from reflected glare.